Who doesn’t love a good cheese strain? Auto Cheese NL is a very good cheese strain ticking all the key boxes for modern growers. 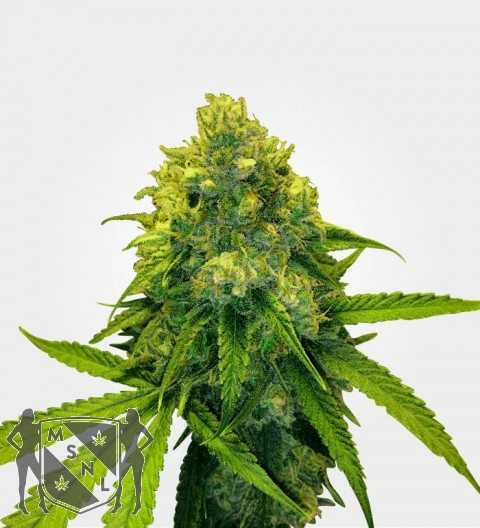 Auto Cheese NL marijuana seeds are always in popular demand. 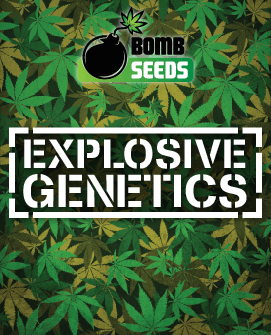 From a genetic perspective, Auto Cheese NL marijuana seeds are about 50% Indica, 30% Sativa and 20% Ruderalis. The parent strains are Auto Cheese and Auto Northern Lights. 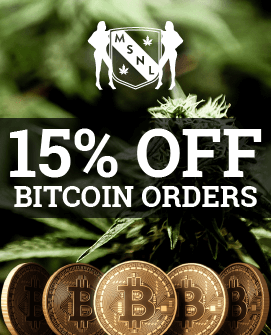 This means that the 16% average THC content should be in line with expectations. It’s enough to deliver quickly and effective pain relief, together with a moderate high. The ratio of Indica and Sativa genetics means that the high is a bit more mellow than you’d expect from a pure Sativa, but there’s enough in the way of Sativa genetics to keep it fresh and light. Auto Cheese NL has moderate CBD so the stone is deep enough to relax your mind and body, while still being light enough to make it feasible to use this strain in the day time. 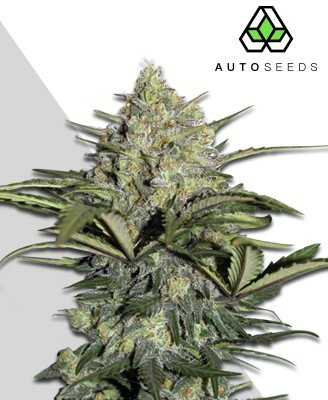 Auto Cheese NL seeds are, therefore, frequently recommended to people looking for a strain to use on an “as and when” basis rather than a specific day time or night time treatment. Indoor growers can expect up to 110g/m2 and outdoor growers could collect up to 220g from each of their Auto Cheese NL marijuana seeds. 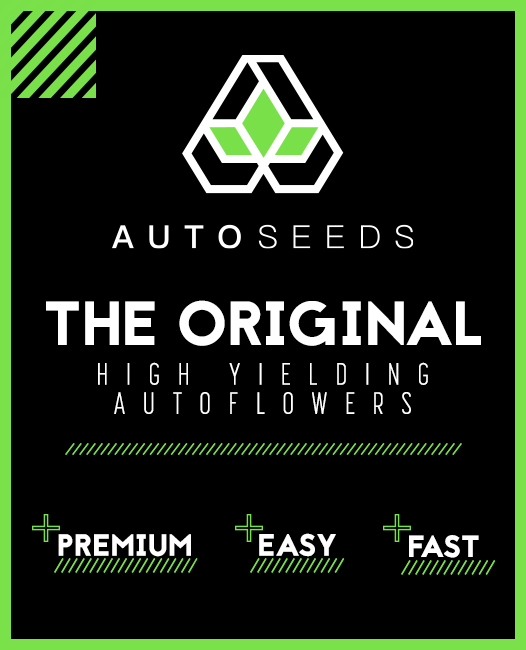 While this may not seem much in comparison with photoperiod strains, or even some automatics, the fact is that strains with bigger yields need to be physically bigger to have space for the buds, whereas Auto Cheese NL comes in at a diminutive 1M to 1.2M, which makes it much easier to grow these plants in smaller growing spaces. Small plants also tend to have short growing times. Auto Cheese NL marijuana seeds are no exception and will be ready for harvest in just 9 to 10 weeks. Which about 6.5 to 7 weeks flowering time. 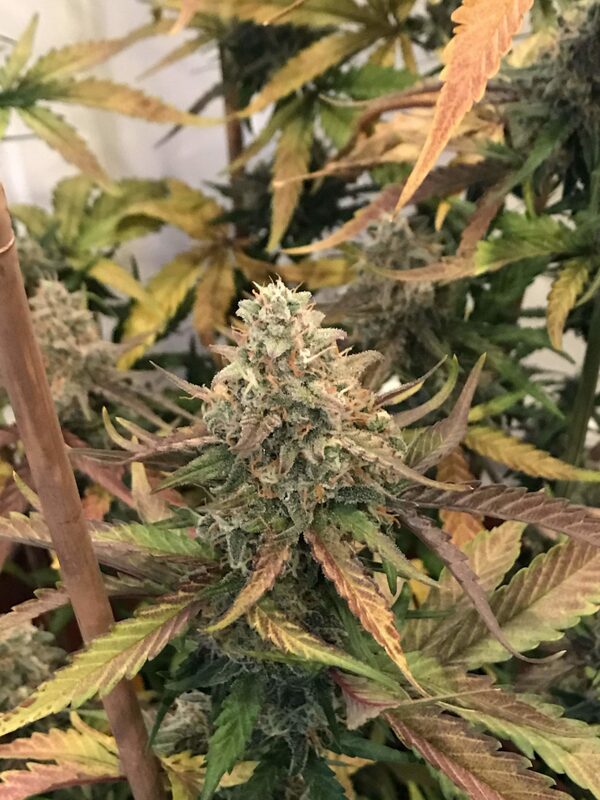 As this is an autoflowering strain, there is no harvest period as such, you just need ten weeks of warm, sunny dry weather. If this is too much to hope for where you live, then using a cold frame or greenhouse could be a good compromise. Since it would allow you to benefit from the (free) sunlight, while keeping your plants protected from the rain. Or alternatively grow indoors where you’ll have completel control over your environment. Overall, however, even a complete beginner should have an excellent chance of growing their Auto Cheese NL marijuana seeds into healthy plants. There are two main reasons for this. One is that this strain is packed full of robust genetics. The parents on both sides are very close to being landrace strains and hence don’t expect to be able to rely on humans. The second is that the shortness of the growing period means that there’s very little time for anything to go wrong. The only issue which might trip up new growers is dealing with complaints from people who object to the smell of this strain. You can avoid this by practising considerate odour control. In particular, if you are growing outdoors, be sure you understand prevailing winds as they can blow the scent of Auto Cheese NL over a very long distance. The clue is in the name, Auto Cheese NL does indeed taste like a fine, pungent old cheese. The Northern Lights side of the strain does, however, also make its presence felt in the form of robust earthiness and light, fresh notes of menthol pine and citrus lemon. Similar comments apply to the aroma, it’s very definitely cheese but it’s not totally, full-on cheese as it’s balanced by the earthy sweetness of Northern Lights, you might also detect a hint of spiciness due to the Afghani heritage on the Northern Lights side. Auto Cheese NL looks pretty good in a bag, with its dense green nugs, orange hairs and, of course, the glorious covering of glittering white trichomes you’d expect from any strain with Northern Lights heritage. The real joy, however, comes when you open the bag and breathe in that cheese.